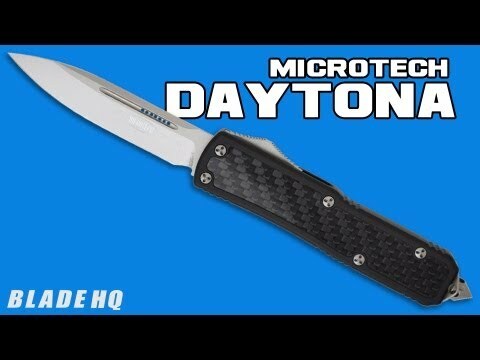 The Microtech Daytona is an impressive double action out-the-front automatic knife! This Daytona has a satin finished drop point blade made from premium S35-VN steel (partially serrated). 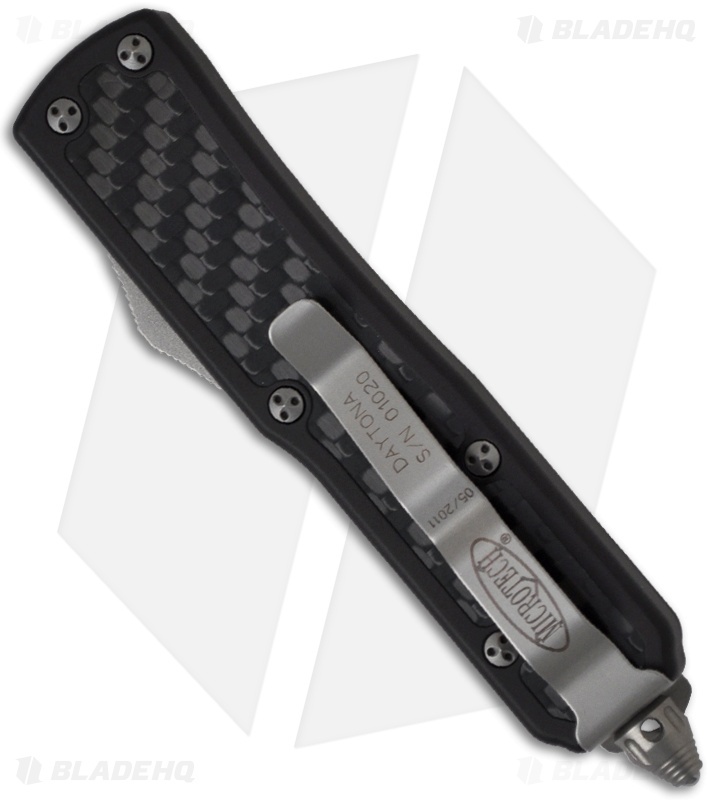 The handle is black anodized aluminum with polished carbon fiber inserts on front and back. The sturdy pocket clip has the serial number and Microtech logo. 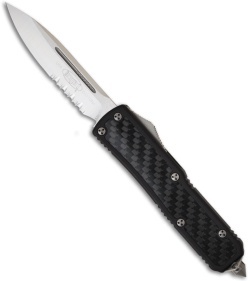 Includes glass breaker.